Merrimack Chief Denise Roy says her town is getting the reputation as a "meth heaven" because drug users and dealers know that there aren’t enough officers on the streets to handle the growing epidemic. 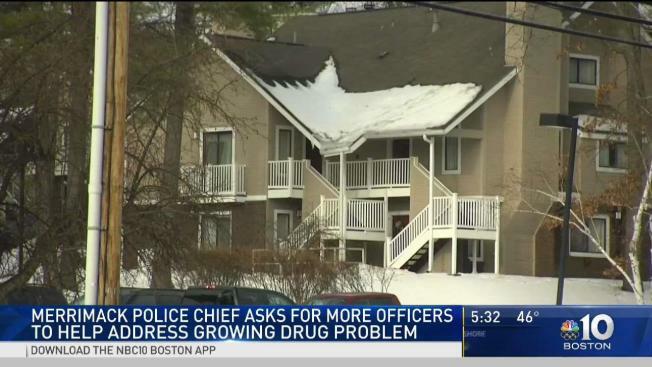 New Hampshire’s drug epidemic is seeping into every community, and now the Merrimack police chief is asking residents for help, calling the problem and the danger "imminent." Chief Denise Roy said her town is getting the reputation as a "meth heaven" because drug users and dealers know that there aren’t enough officers on the streets to handle the growing epidemic. "We’ve not had to deal with it on a scale that we are today and it’s becoming dangerous," she said in an interview Thursday. The numbers are proof. In 2015, police responded to The Residences at Daniel Webster, an extended stay hotel, 63 times. Last year, that number skyrocketed to 163. For years attorney Larry Novak was known in the Brockton, Massachusetts, area as a longtime Republican campaign organizer and chair of the party’s city committee until 2009, when he was sent to federal prison for six years, convicted for money laundering. "They’ve increased by 100 calls," Chief Roy said. Since Woodspring Suites opened just six months ago, officers have responded to nearly 60 calls there. "It’s not just once in a while," Roy said. "We are dealing with this on a daily basis." She said the people being arrested are admitting that they’re trying to avoid the drug task forces in neighboring Manchester and Nashua, so they come to Merrimack. "That’s exactly what they’re saying," Roy said. "They’re the ones telling us they come to Merrimack because nobody is here to do anything about it." It’s an alarming realization for people who live and work here. 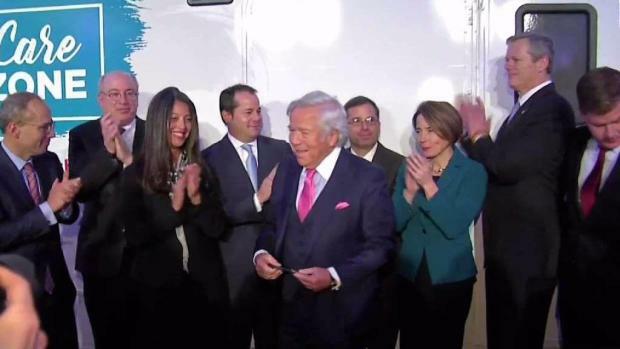 A new approach to opioid addiction helmed by the Kraft Center for Community Health at Massachusetts General Hospital is hitting the road. It's called Care Zone, a mobile health van that will go to areas most affected by drugs, hoping to reach people least able to ask for or get the help they need. "Raising children in this town knowing that’s going on is scary," said Brenna Wescott, who works at a child care facility in town. Roy said it’s time to dedicate at least two officers, preferably three, to a "drug unit" which will cost the town more than $200,000. "If that means an increase in taxes, well then that is what it means. I’m all for that," said Merrimack mom Rhonda Waxman. "I’m not sure throwing money at it will solve the problem," said Christine Grosso, who has lived in town for decades. The chief admits there’s no easy solution to a problem this big, but she said a specialized drug unit to deal with the drug epidemic is now a necessary place to start. "We’re trying to do everything we can to make sure that these people know, 'We cannot go to Merrimack, because they are dealing with the issues,'" Roy said. The public can hear all the specifics on the chief’s plan and its cost at a hearing on Jan. 25.